Pig Hog is all about practicality, functionality and having fun in the process which we lead. Our mission is to make the toughest, most durable cables possible, which everyday musicians can actually afford. Our team is ingeniously clever and bent on making sure our clients have the great product options. We provide the stuff that works well, look cool, and that can stand up durability anytime. 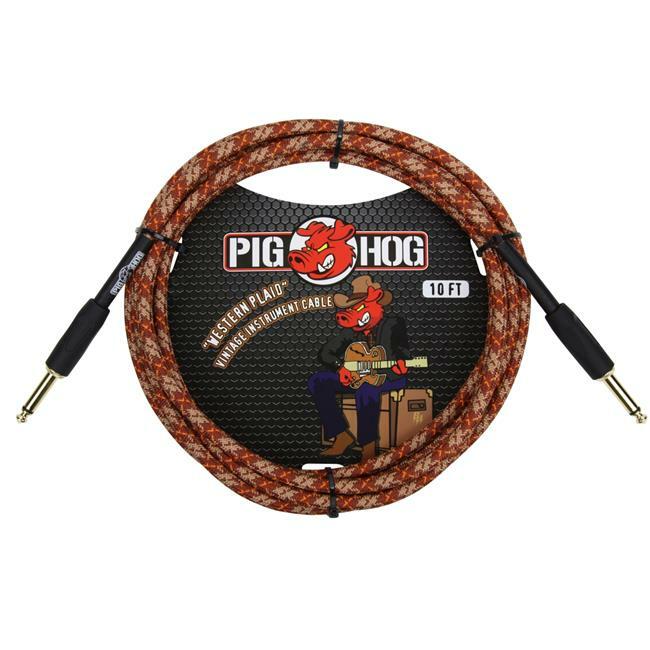 Pig Hog Vintage Series cables are precisely overbuilt to stand up to the most grueling tour conditions imaginable. They feature extra-thick tour grade wire, unique high quality woven jackets, performance quality connectors, and tension-resistant stress relief. And with Pig Hog's ''no question'' lifetime guarantee, we've got your back for the life of the cable. Don't settle for those fat-free cables.